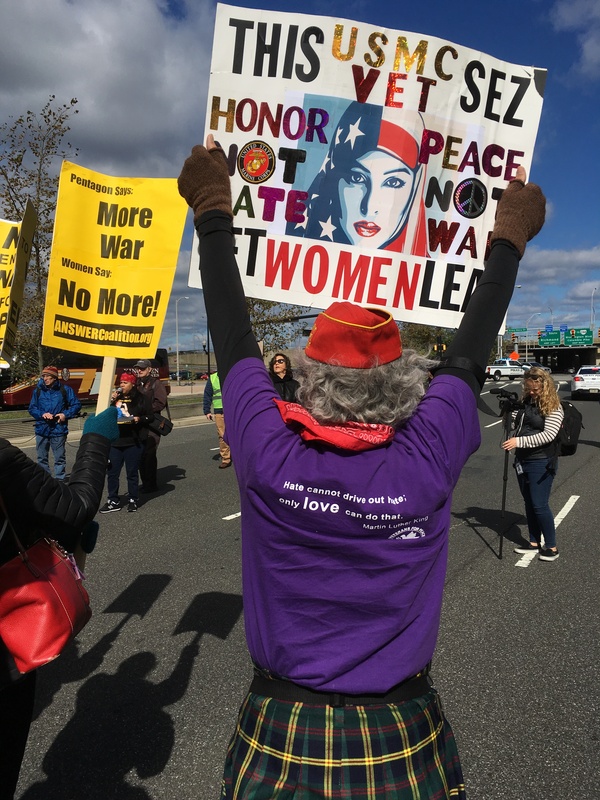 About 1,500 women and allied men marched on the Pentagon in Washington, DC, on Sunday October 21 to demand an end to perpetual war and the funding of education, health care and other social needs instead. 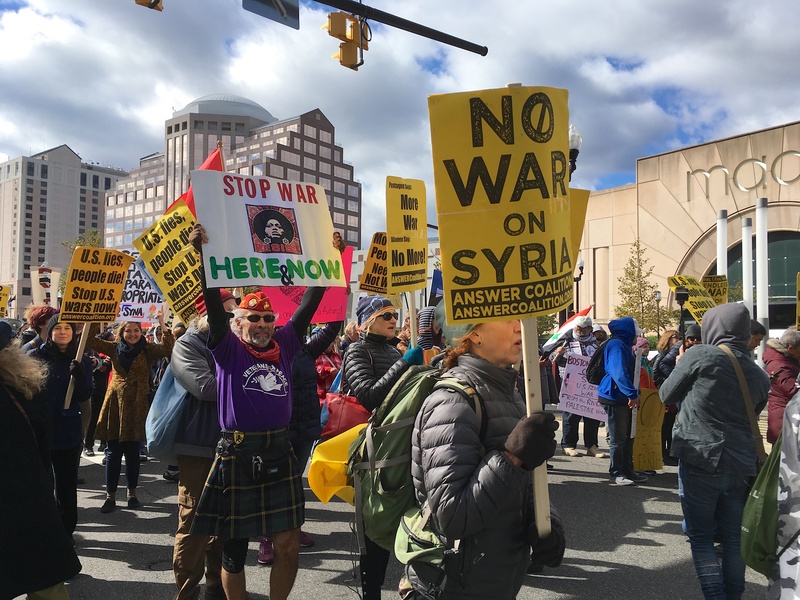 Stopping U.S. military involvement in Syria and Yemen and closing U.S. military bases around the world were among the demands voiced by the protestors who set out from Pentagon City and marched to the seat of American military power along a one-mile route. 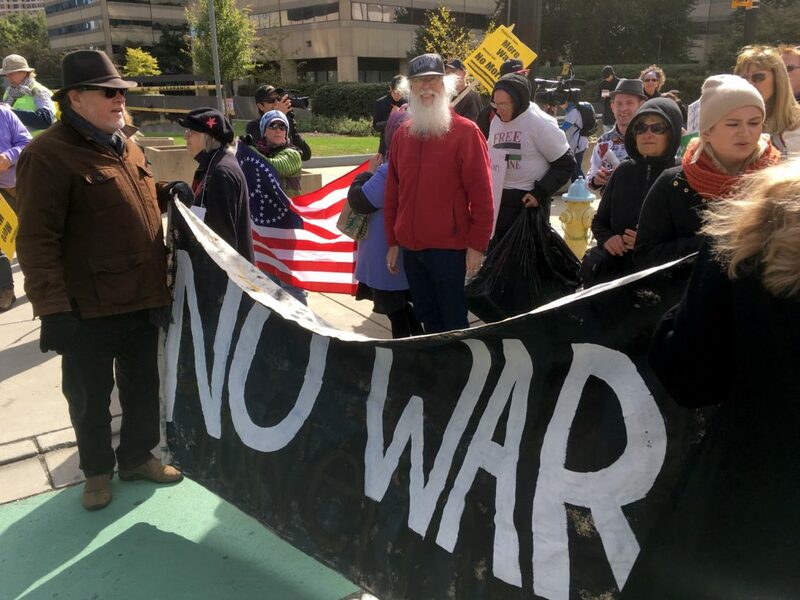 Walter Teague, an activist, spoke of taking part in the mass protest of 35,000 people against the Vietnam War that converged on the Pentagon building on October 21, 1967. 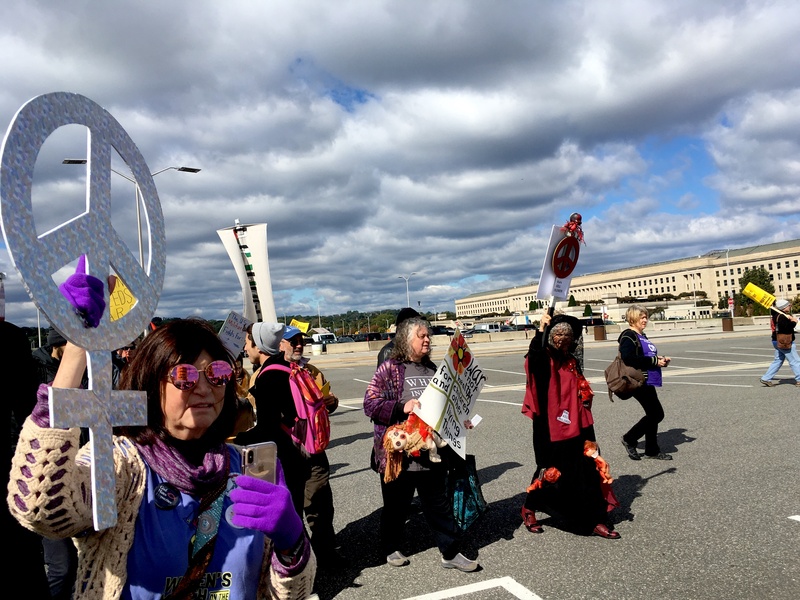 That was 51 years ago to the day of Sunday’s women’s march, which took place after five more decades of American wars. In 1967 one could walk right up to the Pentagon’s front door, unlike now when the building is fenced off on all sides, hundreds of yards from the public. 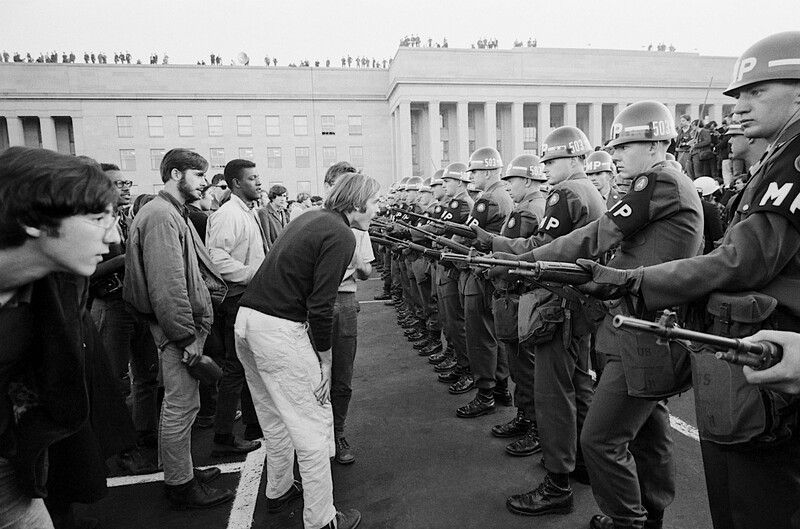 And unlike militarized police in heavy armor on guard at mass demonstrations these days, those 1967 protestors were confronted by military police wearing only helmets and carrying a single M-16 rifle. (Though there were 6,000 armed troops inside the building.) The only police present on Sunday were those who escorted the protestors through the gates. “Just because there’s radio silence out there doesn’t mean there isn’t a rebellion in full swing. You’ve got to go to the communities to see it. Do you know why our communities are crumbling? 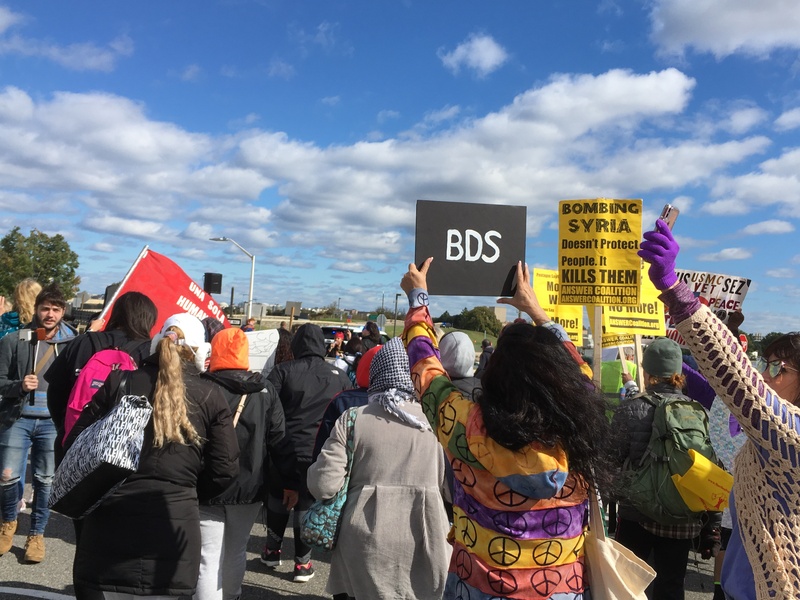 Because our tax dollars are going over there,” she said pointing to the Pentagon. Last tax day Americans paid an average $3,400 each “to keep that thing doing what it’s doing,” said Stein, gesturing to the building. “While we were digging deep for the Pentagon … $80 of the average taxpayer went to support social programs and $40” to support the Environmental Protection Agency. 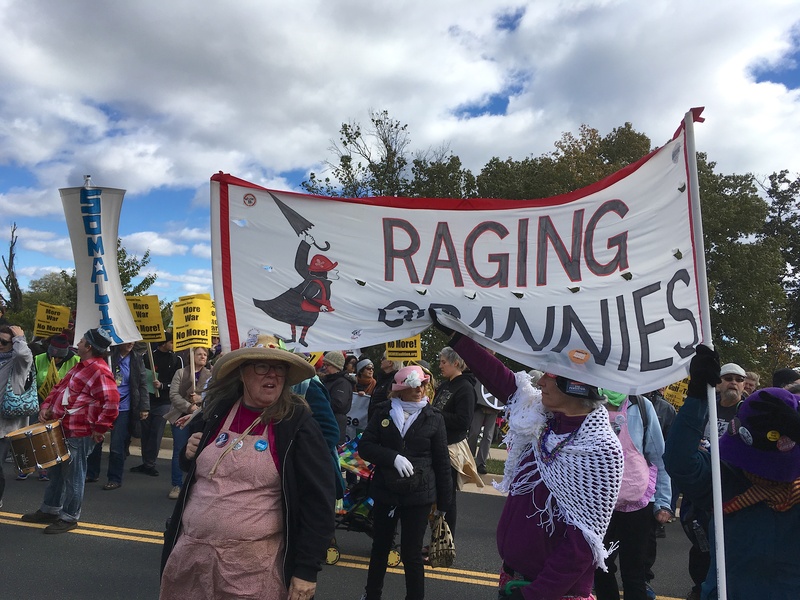 The march was organized for the 51st anniversary of 1967 by Cindy Sheehan, who lost her son in the invasion of Iraq and became a national figure when she camped out in front of George W. Bush’s Texas ranch in protest of the illegal war.